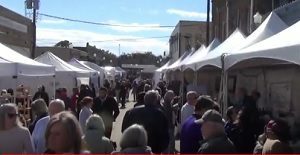 The Winnsboro Center for the Arts is a cultural resource for everyone. Proven most recently by the production of “Suite Surrender,” a comedy by Michael McKeever, directed by Bob Hibbard. This is a comical rendition of two of Hollywood’s biggest divas who have somehow been assigned to the same suite accommodations in the fabulous Palm Beach Royale Hotel. Set in 1942, the divas are rivals for the attention of the stage and the grandiose publicity of their talents. They meet face to face on the evening of the big show for the military men in route to the perils of WW2 and another war almost broke out. Award-winning director, Bob Hibbard once again demonstrated why he is considered the “go to guy” for live theater in our area. 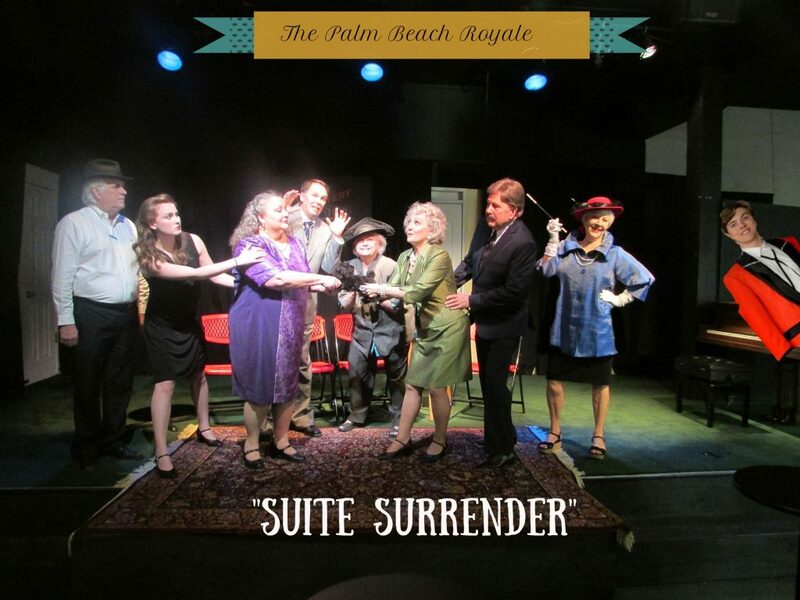 A member of the Screen Actors Guild, Bob has again proven there is significant local talent to support an active performing arts community and he makes it as fun, as it is entertaining, in his 49th year of live theater. This time Bob has the support of his “secret weapon”, wife Becky who has since 2005 kept things possible, real, and moving behind the curtains of many of Bob’s productions. Our party certainly enjoyed the prelude featuring the talented Michael Phifer with an out of nowhere solo piano rendition of Jerry Lee’s “Great Ball’s of Fire.” It had nothing to do with the play but it set the stage for a farcical night of entertainment. Very well done and much appreciated Michael. This presentation of “Suite Surrender” proved to be a unique experience for us as well as our guests. We cannot remember when the entire cast of a production was as uniformly talented or better cast in their roles. Of course, there were some larger parts with more lines, but the supporting actors were perfectly in tune with the dialogue and each offered a particular panache and personality for their parts. Veteran actor Val Vetter was almost too convincing as the hotel’s General Manager, Mr. Dunlap. Our friends thought he may have been Tom Bodett who “would leave the light on for you” in a previous lifetime. Val’s talent versatility was priceless and made this evening’s performance seamless and timely. Gale Nelson-Gilbert and Elizabeth Kay McIntire as the dueling divas, Claudia McFadden and Athena Sinclair, respectfully, were so convincing in their roles that one audience member was overheard as saying, “they must be related.” True, only the passion of best friends, or relatives, could incite the riot of laughter Gale and Elizabeth received from the appreciative audience. Exceedingly well-done ladies. Darla Ford Pierce is another veteran performer having played many roles in her 30 years of theater experience. 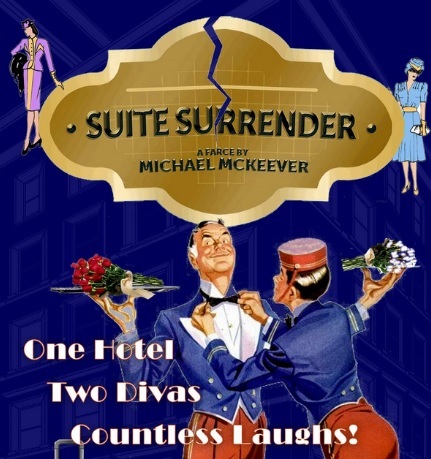 In “Suite Surrender” she adeptly played the role of an accident-prone reporter who always seemed to be in the wrong place at the wrong time as she attempted to get out of a closet and get the story. Her portrayal was very convincing unless she really did get hit with the door as it appeared in act two. In last summer’s “1776” production, Michael Phifer played a somewhat reluctant Thomas Jefferson who got to kiss the pretty actress playing his wife. In “Suite Surrender” he played the often comical Bellhop, Francis, who again got to kiss the pretty actress played by Claire Mounce. One can only imagine how he makes it through auditions for the really good parts of the productions. Claire Mounce is a first timer on the stage but was part of the stage crew from “1776.” This writer believes she and Becky Hibbard could headline their own versions of “Two Girls on Broadway” – each playing the parts made famous by Lana Turner and Joan Blondell. Of course, they would have to get Michael Phifer to fill in for George Murphy – who gets to kiss the pretty actresses. We saved our favorites for last – Roy Shockey and Jim Hollowell. Both, of course, veterans of “1776” but this time with Roy playing the part of Mr. Peppet, the personal secretary of diva Claudia, and Jim as Otis, a bellhop, rather than long-winded legislators of the Congressional Congress. Roy Shockey was understated in his role as a subservient assistant to a demanding diva. His timing and comedic talent perfectly supported the action as well as added an entertaining dynamic through the entire production. Mister Jim Hallowell was amazing in his rendition of the bumbling bellhop Otis. His range of facial and body expression was perfect and his timing and execution of the action and the dialogue was an appreciated feature of the performance. His signature line in the play, “I am not here” elicits a laugh every time I think of it. This writer looks forward to enjoying all of this cast again in a near future Bec’n’Bob production. If you have an interest in quality live theater entertainment contact the Winnsboro Center for the Arts. There are many presentations on the 2019 calendar that you will enjoy.